On visiting the York sculpture gardens some time ago I came across one of the better surprises of my life. 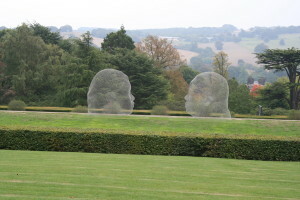 Before the main building was two giant sculptures, almost transparent against the backdrop of the York moors. This was my first introduction to the work of the sculpor, Jaume Penza. 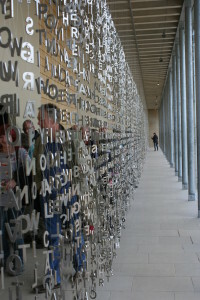 These works are formed from symbols of all world languages. 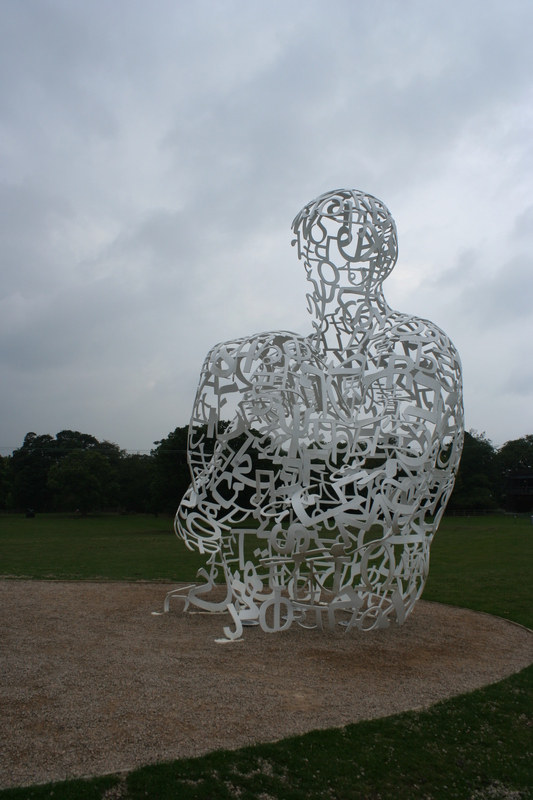 Jewish , Arabic eastern and western alphabetical symbols ,all fused together, to form two figures facing one another. 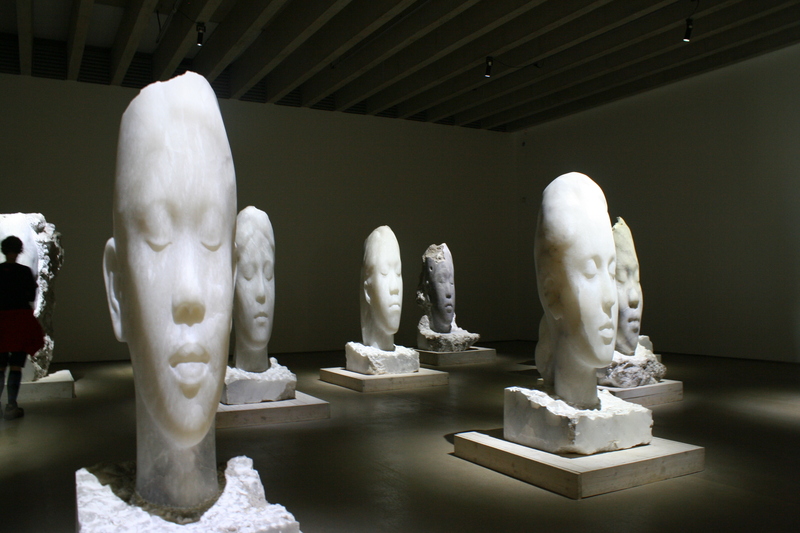 The front ends is left unfinished so that you ,the spectator, can enter the sculpture and become part of the whole. 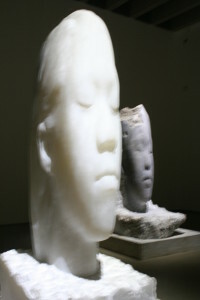 It speak of how we all should merge and accept one another and still be proudly individual. 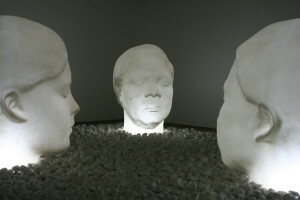 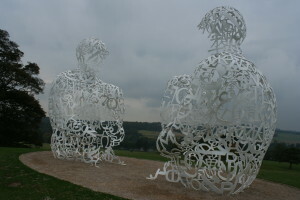 Jaume Plensa, born in Barcelona in 1955, is a leading sculptor in the field of plastic arts. 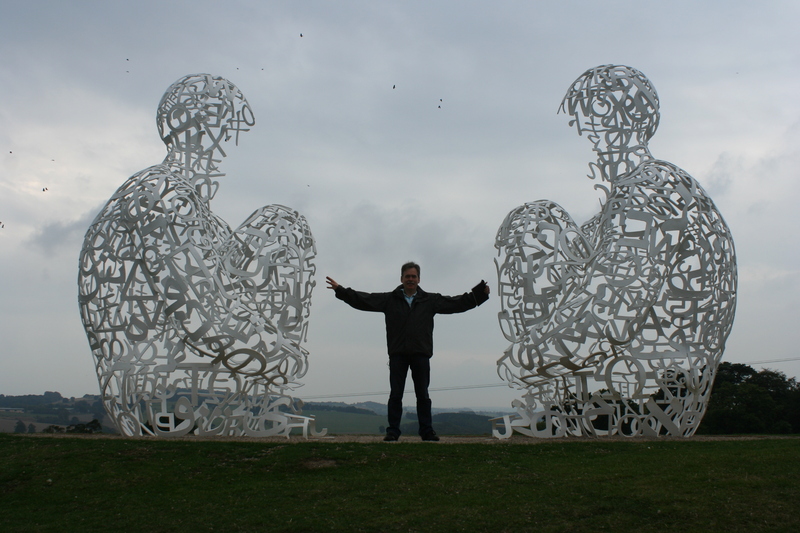 As another of the worlds very versatile artist, he works in a wide range of media. This includes including drawing, sculpture,video art, acoustic installations, print-making, opera scenery, using text as sculpture and light installations. 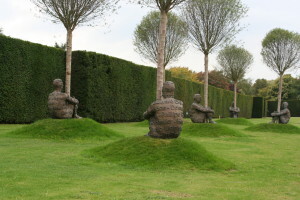 These lifesize terracotta figures combined with growing trees to form a whole that is alive and welcoming. 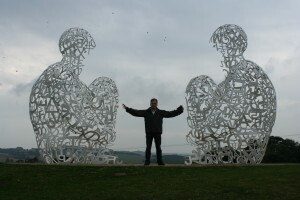 He does not shy away from modern modern materials either. 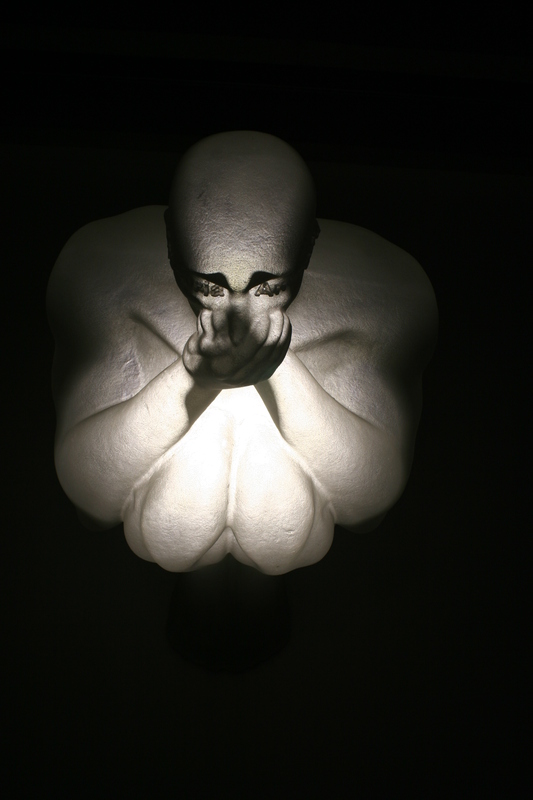 It combines beautifully with his special lighting effects too. 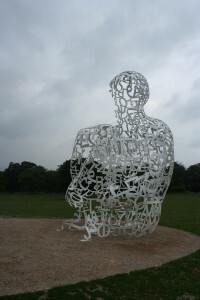 Clever words and phrases gives extra depth and meaning to the symbolism of his art. 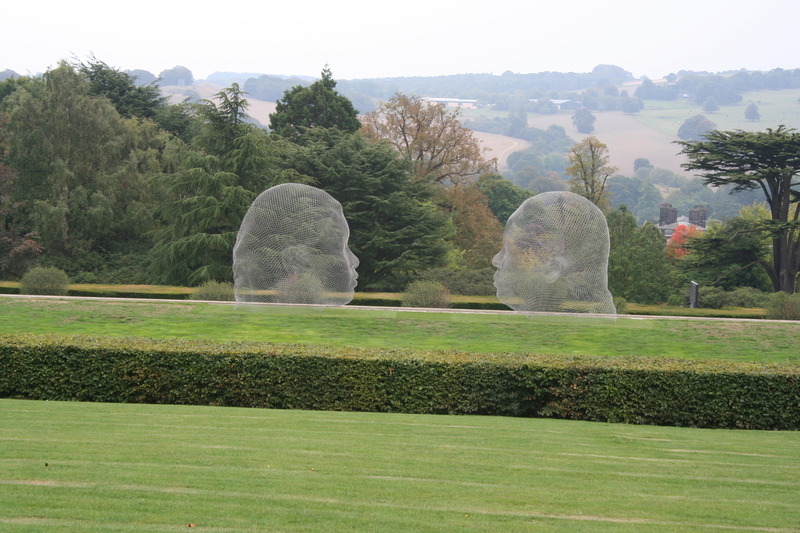 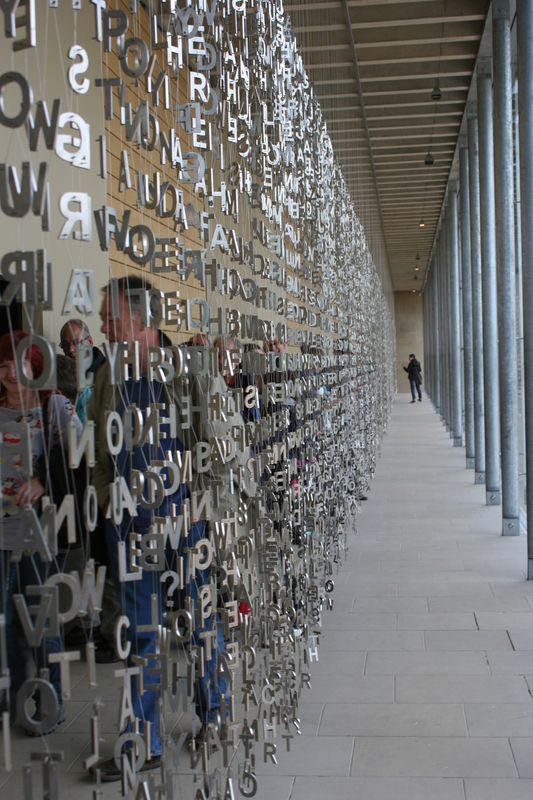 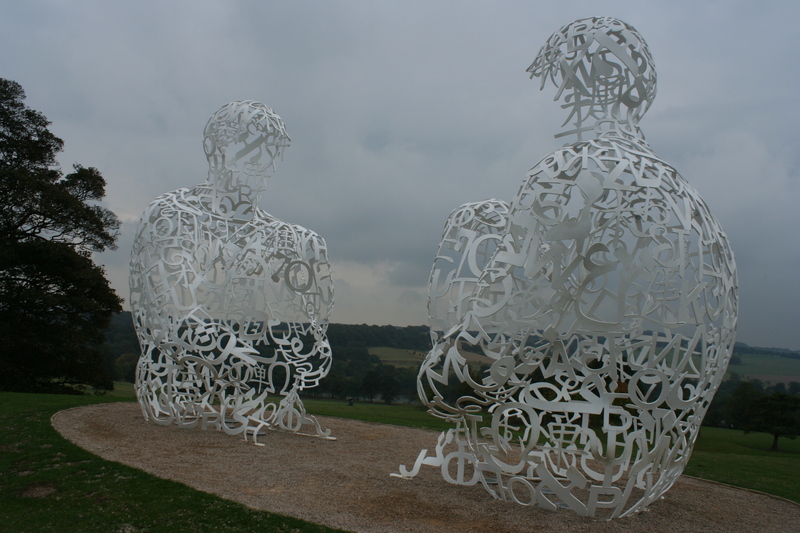 Plensa’s work invites emotion and intellectual engagement. 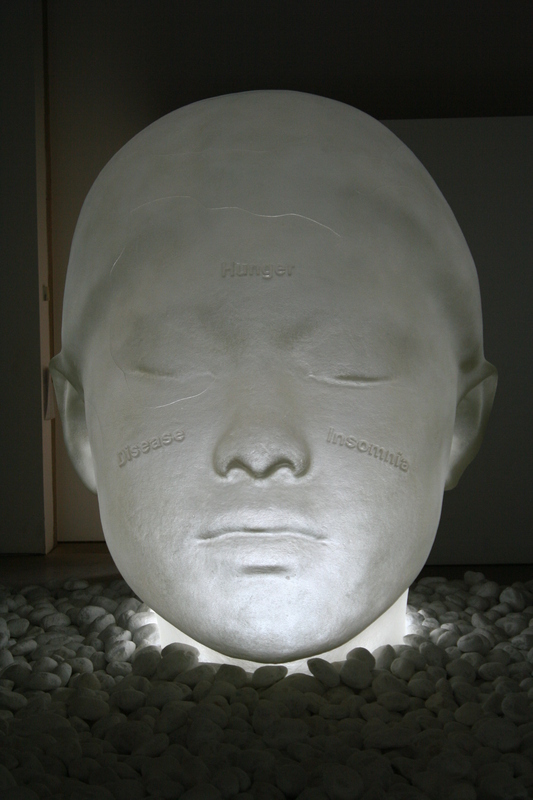 He often poses stimulating dualities in his work ( inside and out, light/dark, solid/transparent) and challenge you to become part of his art, to engage with it and cross the viewer barrier by becoming part of the artwork.